Robert Robaus, R.N., is a highly skilled, experienced nurse and a proud Shriner. Last fall, the Florida Hospital Association recognized him as its Caregiver of the Year. 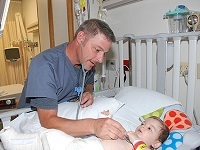 Mr. Robaus has worked more than 17 years as a pediatric nurse for Shriners Hospitals for Children —Tampa. Before that, he worked at Shriners Hospitals for Children — Chicago. He was also the Tampa Shriners Hospital Nurse of the Year in 2016. Winners of the Caregiver of the Year award were chosen based on the following criteria: demonstrating outstanding delivery of patient care, and participation and leadership in hospital patient services; participating in activities and practices that help increase patient satisfaction; and commitment to the hospital and its community through participation in hospital patient care and community improvement efforts. I want to thank the Florida Hospital Association for this award. It means a great deal to me,” Mr. Robaus said in his acceptance speech. His grandfather, who was receiving care for health issues at the time, inspired Robaus to become a nurse. “It goes without saying that being a nurse is a passion you get, said Mr. Robaus, whose original plan was to become a level 1 trauma nurse. Soon after he began working at Shriners Hospitals for Children — Chicago, Robaus’ heart was touched to the point where he was inspired to adjust his aspirations. “As soon as I walked in the doors and cared for my first child, that was it,” he said. The experience also inspired him to get involved with Shriners International, the fraternity that in 1922, founded the Shriners Hospitals for Children health care system, which now has 22 locations in the U.S., Canada and Mexico. 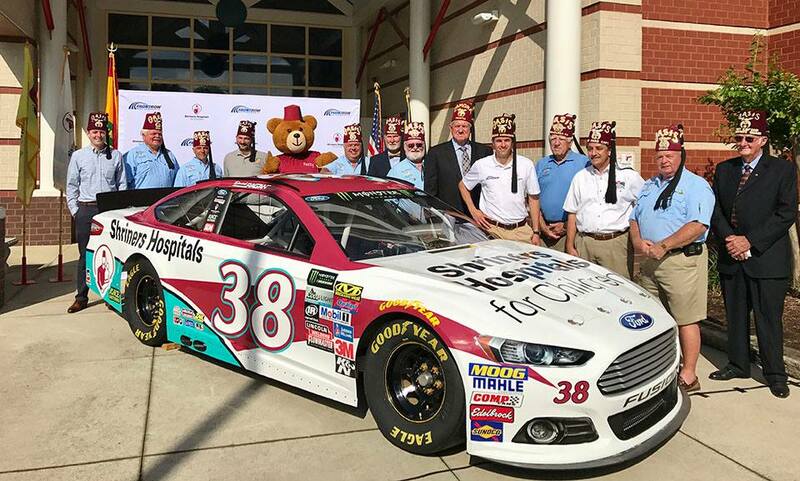 “Throughout my experience with Shriners Hospitals for Children, I have seen what Shriners do for the hospitals and have become a Shriner myself, supporting the hospital from the fraternal side and as an employee,” said Mr. Robaus, who is a member of the Egypt Shriners in Tampa. Lovingly referred to by patients as “Nurse Bob,” Mr. Robaus is known for being skilled in communicating with children and calming their fears. Patients and parents trust his clinical skills, and he often serves as an instructor and mentor for staff. He was previously an inpatient clinical coordinator and now serves as house charge nurse. He is a member of the Tampa Shriners Hospital’s medical emergency response team. Mr. Robaus’ commitment to the organization extends far beyond the hospital. As a Shriner, he participates in numerous fundraisers and events for the hospital and the fraternity. Each year, Mr. Robaus works as a counselor and organizer at Camp Care-A-Lot, which provides a sleepaway camp experience for patients who otherwise would never have one and helps them discover abilities they didn’t know they had. Videos and photos of the happy campers tell the whole story. Whether it is delivering clinical excellence, mentoring colleagues or just making people smile, Mr. Robaus lives the Shriners Hospitals for Children mission.